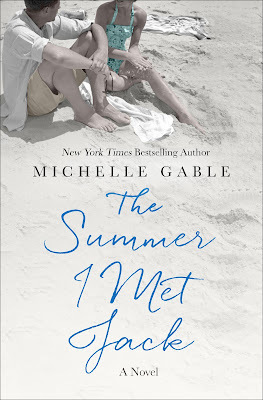 Michelle Gable is a New York Times bestselling author of four novels. Her latest book, The Summer I Met Jack, is a fictional story based real events that center around a young John Fitzgerald Kennedy and the Kennedy clan. A native of San Diego, she attended The College of William & Mary in Virginia, but now makes Cardiff-by-the-Sea, in Southern California, her home. After a 20-year career in high finance, she turned her attention to writing her first novel, An Apartment in Paris, which became an international bestseller in 2014. Stay Thirsty Magazine was thrilled to visit with Michelle Gable at her home for this Conversation and to explore the concepts behind her style of storytelling. STAY THIRSTY: Your latest novel, The Summer I Met Jack, imagines an affair between John F. Kennedy and a young Polish refugee. What fascinated you about JFK so much that you wanted to spend time researching and writing this book? MICHELLE GABLE: I’ve been fascinated by the Kennedys for decades, like so many other Americans and probably due in large part to the myth(s) they created around themselves. In college, I read my dad’s copy of Reckless Youth when home on break, and from that point on, I’d pick up any Kennedy-related book. It can be the addiction memoir of some second cousin who was born after JFK died, and I’m still in. I read over two hundred books when researching this novel, and I’d read at least half of them before. STAY THIRSTY: What was the genesis of your idea to mix fictional characters with historical figures? 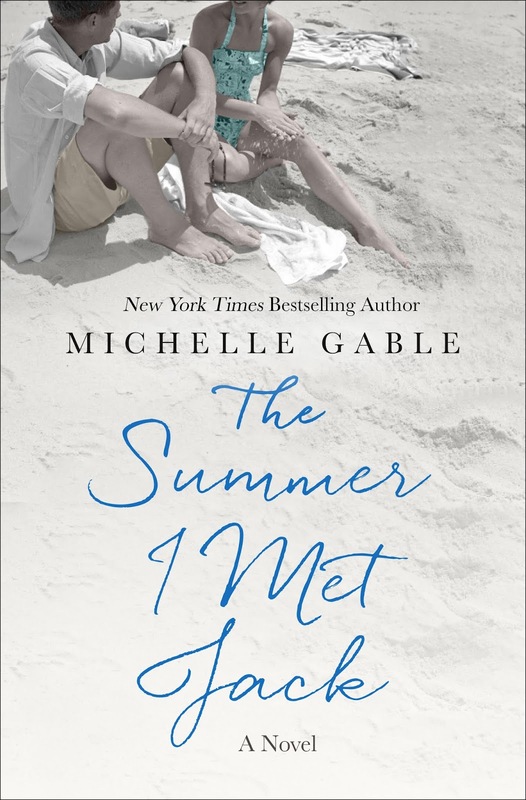 MICHELLE GABLE: All of my books are based on real people or events, with facts serving as tent poles and fiction filling in the gaps of what we don’t know. Often (especially in this book!) dots needs to be connected, and conclusions drawn. It’s a bit of a sleuthing adventure, which makes it fun. STAY THIRSTY: Why are people drawn to stories about rich and powerful people? MICHELLE GABLE: I think it’s two things: aspirational yet also relatable. Of course, power is alluring, and it’s intriguing to get an insider view of that world. On the other hand, the rich and powerful have desires, longings, and problems like the rest of us, at times far worse problems, because the scandals play out in public and the participants have further to fall. STAY THIRSTY: What are the three key elements you believe a compelling story must have? MICHELLE GABLE: Any good story must start with a character who wants or needs something that seems out of reach. And the story must have high stakes, be it emotional or physical. A man longing for a sandwich isn’t going to carry an entire novel! Finally, I think an interesting backdrop is key. I love books where setting is a character, too. STAY THIRSTY: Is history a character in your story and, if so, what role does it play? MICHELLE GABLE: For me history falls into setting, and it definitely influences the characters and their decisions. If you drop these same characters into some other time and place, their stories wouldn’t make sense. STAY THIRSTY: After doing such extensive research about JFK and his family, what are the most surprising things you discovered? MICHELLE GABLE: Oh, don’t get me started! As mentioned, I knew quite a lot about the family going in, but I’ve become a real conspiracy nut these last two years. They used the mafia to buy JFK’s presidency, of course. And I am absolutely convinced that Bobby Kennedy killed Marilyn Monroe, to name but one person that family offed! STAY THIRSTY: What characteristics do certain women possess that seem to attract strong, dynamic and powerful men, often one after the other? MICHELLE GABLE: It depends on the man. I think some men want a woman who will stay in the background, look pretty, and let them shine. In some ways, even the powerful men who want stronger women still want them to be a reflection or an endorsement of themselves. STAY THIRSTY: Does your own life resemble any of the circumstances in your book? MICHELLE GABLE: Definitely not! I’m way more boring, and far less conniving. Although, I was interviewed by the FBI once. Does that count? Also, like Alicia, my father-in-law was a Polish displaced person who lived in a camp in Germany, before coming to the United States. STAY THIRSTY: What do you want your readers to take away from reading The Summer I Met Jack? MICHELLE GABLE: If someone says they spent time googling after one of my books, that is a victory to me. I weave a lot of fact into all of my novels, and this one more than the rest. So, I hope the reader learns something and is able to escape to a different world. STAY THIRSTY: Will you be writing more novels with historical underpinnings where fictional characters interact with real people? MICHELLE GABLE: I prefer to base my books on real people and circumstances, and I have a lot of ideas for stories to tackle! I love to research and basing a story on real events is a great excuse, especially when travel is involved. My family can thank my novels for trips we’ve taken to Paris, Nantucket, and Rome.